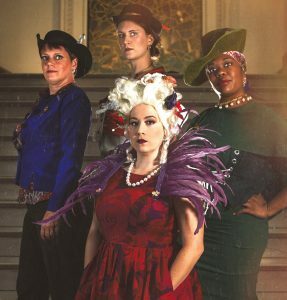 The acclaimed NOLA Project theater company returns to the New Orleans Museum of Art this September for a two-week exclusive run of The Revolutionists, an all-female play set in the Reign of Terror during the French Revolution. The New Play Exchange describes The Revolutionists by Lauren Gunderson as a “grand and dream-tweaked comedy about violence and legacy, feminism and terrorism, art and how we actually go about changing the world.” NOLA Project Artistic Director A.J. Allegra spoke with NOMA Magazine about this riveting production running for ten nights from September 4 through 16. Purchase tickets at nolaproject.com. Tell us about the inspiration behind The Revolutionists. We wanted to tell a story driven and empowered by women. Starting with the #MeToo movement last year, women are taking back agency of their own stories and telling their truths without fear of repercussion. 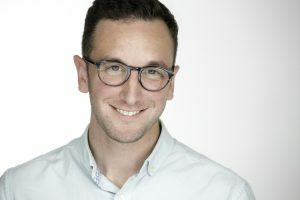 They are standing united in a common cause and telling their own stories, rather than allowing men to do so for them, as has been the case historically. This play embodies that notion. That’s all I want to say about this, because I’d rather let the women do the talking. Are the characters based on actual historic figures? Yes, three of the four characters in the play are real-life historical French figures: Marie Antoinette, who needs no introduction; Charlotte Corday, the famed assassin of Jean-Paul Marat; and Olympe DeGouges, the revolutionary French female playwright. The fourth character, Marianne Angelle, is a compilation of several Hatian women of color that acted as spies during the French Revolution. How does this play adapt to use of NOMA’s Great Hall? The play is set in eighteenth-century France during the Reign of Terror. But it is immediately set in a fairly intimate room where these four historical characters meet. The fun challenge for this show was collaborating on how we create an intimate space within a grand setting, which I feel best encapsulates the feel of this play. With the Great Hall, we can use set pieces and lights to create a smaller playing area, but then can suddenly turn everything up to acknowledge the massive grandeur of the larger space we find ourselves within. Director Joanna Russo has used some truly innovative staging techniques that utilize the whole Great Hall in really creative ways. The play is set during the Reign of Terror in the French Revolution. Are there any lessons in the story that apply to today? I think that the Reign of Terror was marked by a mob mentality in many ways. Citizens and leadership were extremely divided, in many cases by an extreme and debilitating wealth divide. The mob mentality that ensued placed citizens in firmly divided camps pitted against one another with all sides demanding harsh and swift justice. They had an out of touch leader in the gilded palace with no real sense of empathy married to a foreign-born wife who was seen as aloof and utterly frivolous. Feels quite like America today I’d say.